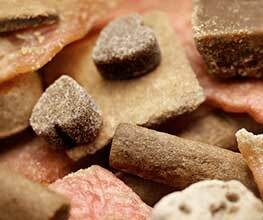 We think of our dogs and cats as family members, so we believe their food should be natural and healthy. In fact, this was the sole reason for starting the Blue Buffalo Company. When the beloved Bishop family dog, Blue, faced a variety of health issues, Bill and his two sons set out to create a pet food that was made with only the highest quality natural ingredients—the kind of things a family member deserves. 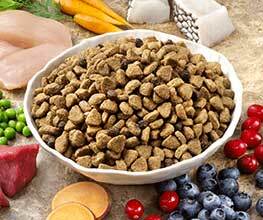 Like BLUE™ dry foods, our wide selection of wet foods all feature real meat and include the finest natural ingredients enhanced with vitamins and minerals. Our scrumptious selection of wet foods all feature real meat and include only the finest natural ingredients enhanced with vitamins and minerals. Because only BLUE is made with the unique combination of high-quality, natural ingredients plus exclusive LifeSource Bits®.